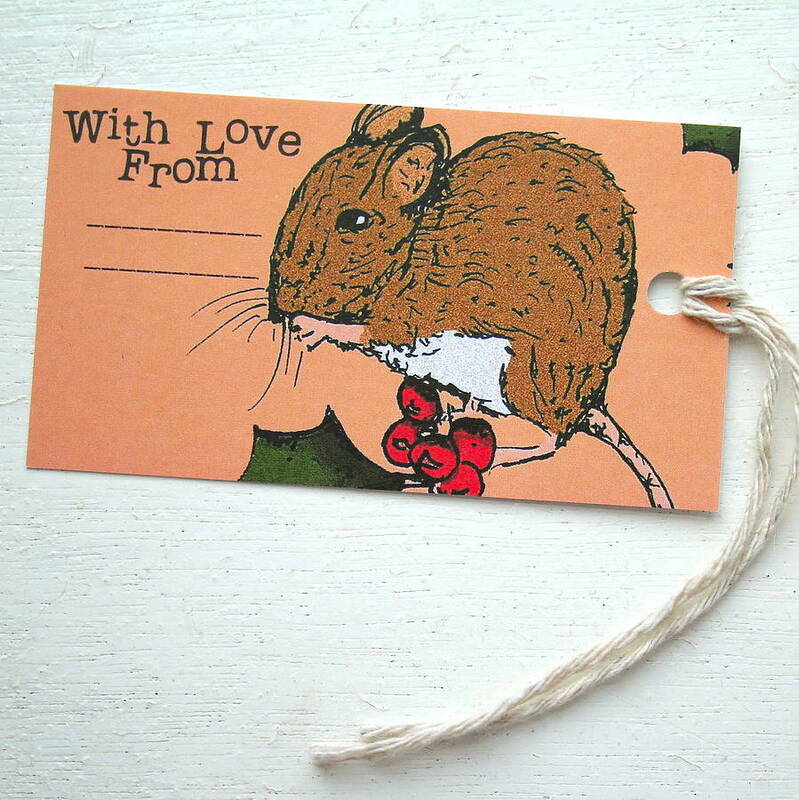 This set of eight Christmas gift tags, feature an original drawing of Mouse, happy admid a bough of holly, and are fastened with string! 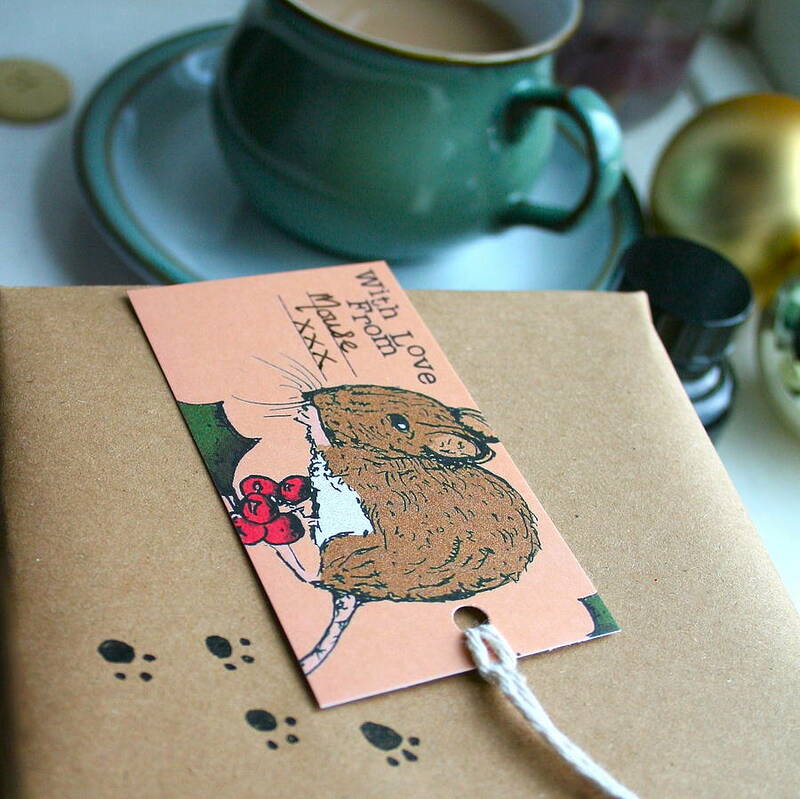 The illustrations of Mouse, and little sprigs of Holly, fill the front of each tag, which also features the wording ‘With Love From’ and space left to fill in your names. 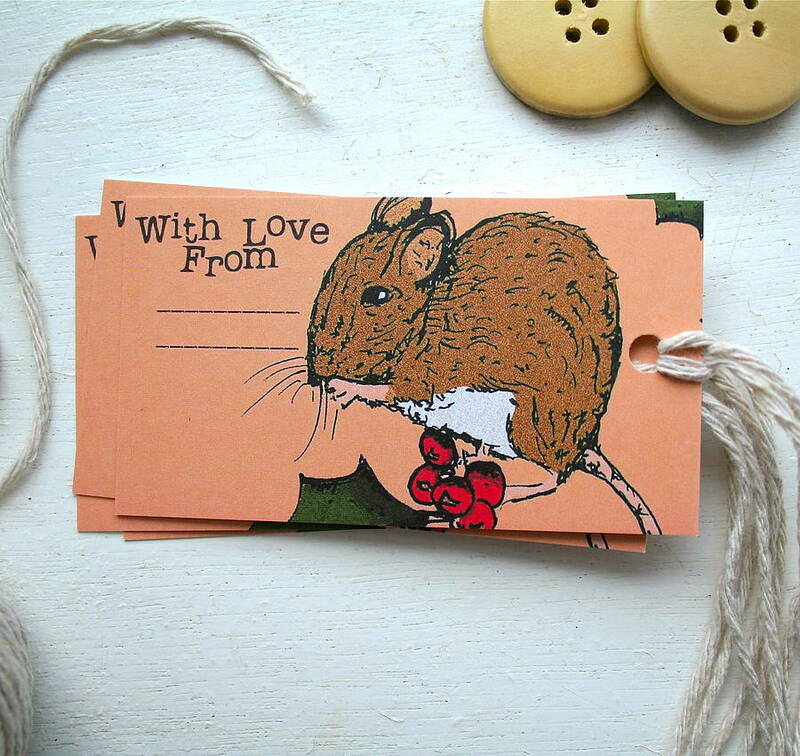 They come with string, making it easy for you to pop onto any gift or present. 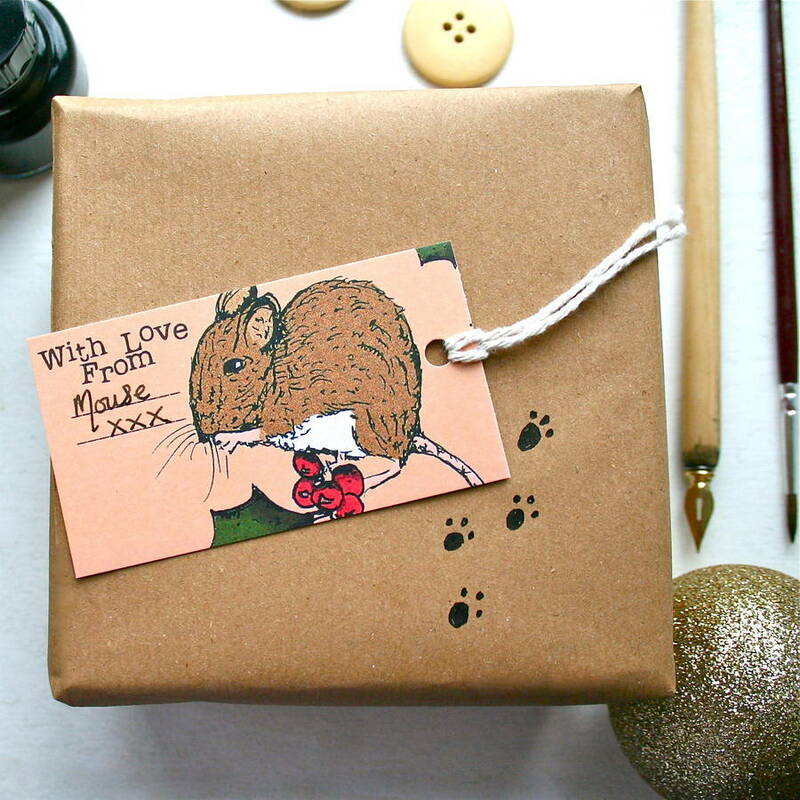 This set of eight Mouse Christmas tags makes a wonderful finishing touch to a simple brown paper parcel, or beautifully wrapped Christmas gift alike. 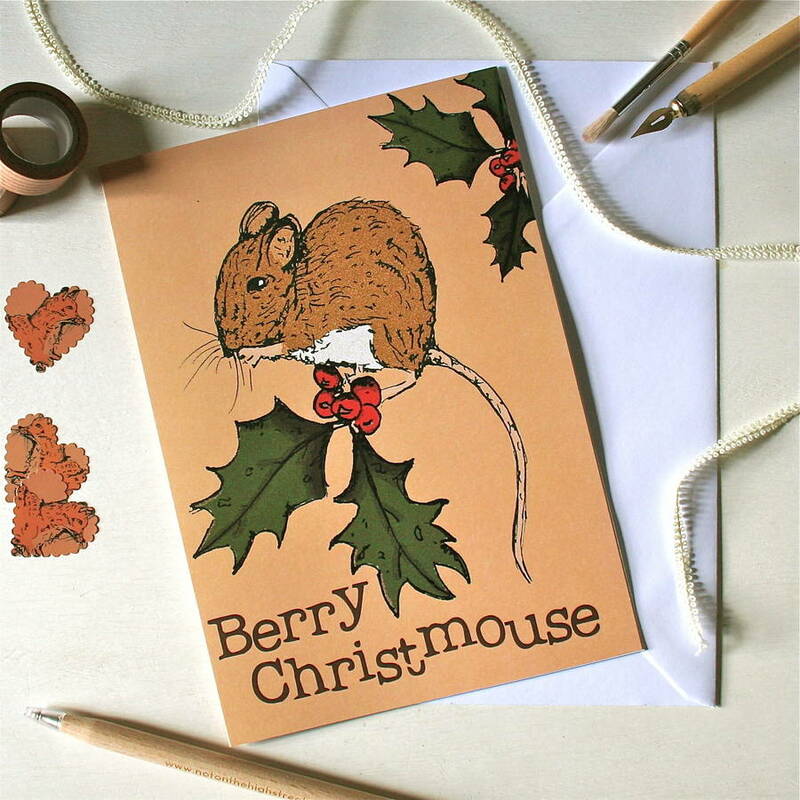 It would be ideal for a rustic, country Christmas, or for anyone who loves animals, illustrations, and making presents look unique! Printed on beautiful matte card from my original black ink illustrations. 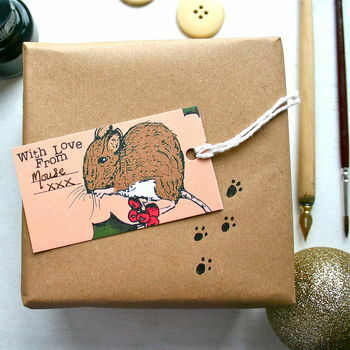 Your set of eight gift tags will arrive, beautifully packaged, snug and safe, within cellophane. Each gift tag measure 5.7 cm by 9cm.